Should you hedge your bets on high heating costs? Minnesotans who use natural gas to heat their homes will see 40 to 50 percent increases in heating costs this winter. Bills could be even higher with a colder than normal season. The projected increases are due in part to disruptions in fuel production caused by hurricanes Katrina and Rita. 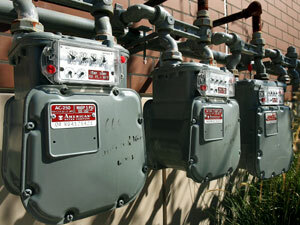 Minnesota utilities are urging customers to reduce gas consumption and make energy saving improvements to their homes. Xcel Energy has announced that it will contribute over $1 million to help low income customers pay their bills. Minneapolis, Minn. — Officials with CenterPoint Energy, the largest provider of natural gas in Minnesota, say last year their average customer spent $720 to heat their home during the months of November through March. This year that same customer could spend $1,070 by the time winter's over. Xcel officials say their customers are looking at a 40 percent increase over last year's costs. However they say there are many ways customers can mitigate the impact of the increase: better insulation for attics, windows and doors top the list. And Xcel conservation director Deb Sundin says don't forget the thermostat. "When you leave the house in the morning and you're gone for eight hours, either gone for work or school," says Sundin. "And when you go to bed at night and in bed for eight hours you turn that thermostat back 10 degrees, you can save up to 20 percent." Xcel officials say that despite these and other cost saving measures, some low income and elderly customers will struggle to pay their bills. Xcel President and CEO Richard Kelly announced that the company will give $1 million to the Salvation Army's Heatshare Program. The company will match dollar for dollar contributions from customers and employees to the program up to $500,000. Maj. Daniel Sjogren from the Salvation Army says the money will help provide grants to between 4000 and 5000 more households. That number includes people displaced by Hurricane Katrina, who are in Minnesota from a much warmer part of the country. "Knowing what the winters are like in Minnesota, we're thinking of our friends -- the hurricane survivors who are going to have their thermostats up to 85, who'll need help and we'll be able to provide more help thanks to this kind gesture," says Sjogren. The Salvation Army is reporting a 65 percent increase in calls already this fall from people asking for help with their heating bills. Sjogren says they expect to see people from higher up on the economic ladder in need of assistance, too. But some say there needs to be more economic help from the state. "You know the governor should be calling a special session on this. Leave baseball for another day," says Pam Marshall from the Energy Sense Coalition. The coalition advocates for affordable energy. Marshall says there are many Minnesotans still paying for bills they racked up last year who could use some relief. "We also estimate that have a $121 million gap in order to hold low income people harmless from last year's winter heating costs," says Marshall. "So, a million and a half? Great step. However we need the public sector to weigh in on this." Officials with Xcel and Centerpoint say there are other ways for customers to avoid high bills this winter, including signing up for a budget program. The budget programs spread out the monthly costs for bills over the full year. Those who can't pay their bills at all can't have their heat turned off during winter. The state's Cold Weather Rule prohibits shutting off utilities between October 15th and April 15th.